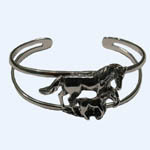 Desc: Sterling Silver mare and foal cuff bracelet. 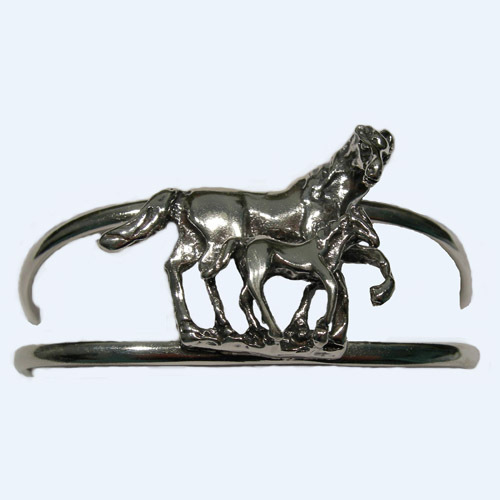 The mare and foal is mounted at the front or apex of the bracelet. The bracelet is open along the sides. The bracelet has a bright polish finish.